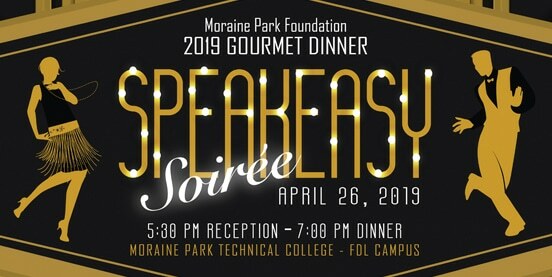 The Moraine Park Foundation will host its annual Gourmet Dinner on Friday, April 26, at the Fond du Lac campus. The reception will begin at 5:30 p.m., followed by dinner at 7 p.m. This year’s theme is speakeasy soiree, and guests are invited to dress in 1920’s style attire. Attendees will have the opportunity to bid on silent auction items, try the wine cork pull, an event favorite, and participate in the 50-50 raffle. The event features a six-course meal that Moraine Park culinary arts students and instructors create, prepare, and serve. The dinner experience will start with an appetizer of lobster cocktail with fennel and shaved horseradish, followed by cream of fresh asparagus soup and a classic caesar salad with black pepper Bellavitano crouton and fresh anchovy dressing. A Campari sorbet will be the intermezzo. The main entree will feature a grilled filet of beef, topped with wild mushroom and fresh herb ragout, paired with a side of Grande Prima Dolce ricotta smashed potatoes and garlicky spinach. The meal will conclude with a bourbon black bottom pie for dessert. 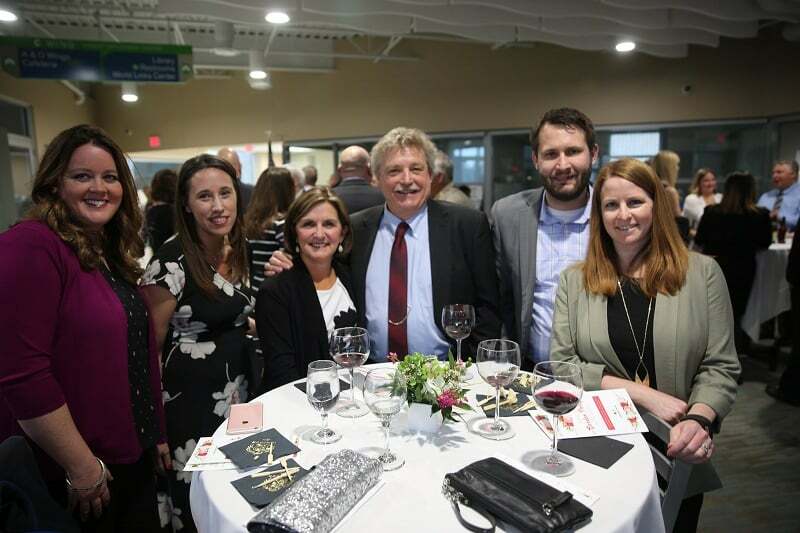 This Gourmet Dinner is an annual fundraising effort, with proceeds benefiting the Moraine Park Foundation scholarship and student emergency fund. Each year, nearly $300,000 in funding is required to aid students in need of financial assistance. Tickets are $100 per person or $800 a corporate table of eight people. Reservations are limited. To make reservations, contact Joan Brezinsky at 920-924-3281 or jbrezinsky@morainepark.edu. For more information, visit morainepark.edu/gourmet-dinner. A Beauty Tip Straight From The Experts! Unthaw, Unwind, & Get Involved !